You are here: Home / social media / Have you had a Pilates Day failure? Have you had a Pilates Day failure? One Saturday when I was in college and living in my first apartment – I decided to have a “chili” party after a Hawkeye football game. I worked hard making sure I had enough chili and garlic bread for a crowd who had been sitting out in the cold for hours at a Big 10 Football game. I had appetizers, I cleaned my apartment, I invited friends from high school, friends from college and some family members. What happened? The only people who showed up were my parents and the people that went to the game with them, and I ate chili for every meal for a couple of weeks. I’ve learned a lot about planning events since then! Have you had this happen to your Pilates Day activities? Here are some of the lessons I learned from 2018 National Pilates Day and the studios that I help! If you’re not getting a lot of potential clients added to your email list, you need to step up your activities to encourage them to join your list. The more people you invite, the more people you have who might be free that day. If you haven’t had many new students coming into the studio lately – it may be safe to assume that people won’t pay for an open house class. Timing is important. Check the community activities in your area. This year a local plant sale which draws a crowd of thousands (it’s amazing what people will do for a new variety of hosta or other perennials) was moved up to the first Saturday in May because of the college graduation schedule, and we believe that impacted attendance at Pilates Day. 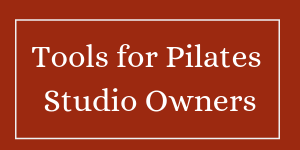 Timing is important part 2 — If you get 90% of your revenue from Monday – Friday customers — it might be better for your studio to celebrate Pilates Day during the week instead of on Saturday. That’s when your current clients come in, and it’s likely if you ask them to bring a friend, that their friend might be on the same schedule! It’s going to be a lot easier to persuade people to come to your open house if they don’t have to change their personal schedules a lot. Timing is important part 3 — One of my clients found that new clients are more likely to attend a free early Saturday class than a class after 11am. 8 am classes were well attended. 11:30 class had one person who called and cancelled. Everyone likes to win a prize. This is one of the things that surprised me a bit. Current clients who did not even come to class on open house day – stopped in for a snack and to enter the prize drawing. People can be “encouraged” to bring a friend if the “encouragement entices them. I have said that I’ll do almost anything to win a tee-shirt — even though i rarely wear tee-shirts. It’s the competitive spirit that makes me want to win — and who knows — maybe the shirt I win will become my favorite shirt! Bring a friend and win a tee-shirt was a successful strategy to get some new clients in the door. People like to try new things and learn new things. One of the most successful Pilates Day events I have planned was an idea I borrowed from wineries. How often have you gone to a wine tasting, and ended up bring a bottle of wine home? It also worked in a Pilates studio, however, the owner did have to have nearly her entire staff there to make it work. Instead of trying pinot grigio, chardonnay, etc – attendees tried foam roller work, the Pilates chair, the Pilates reformer, a Barre class, etc – and if they completed all 8 “stations” they got their name in the grand prize drawing. (Those stations were about 10-15 minute samples each!) The down side of that was there had to be 8 instructors there to make that work! Here are some tips to help you plan your Pilates Day Celebration for next year. If you put these items on your calendar now, you won’t let Pilates Day sneak up on you. Start Planning in February. Set Goals, and brainstorm ideas so that you can let your thoughts percolate and decide what you’d like to implement. Finalize your schedule by March 1 – and put the schedule in a Facebook Event. Start Facebook ads in mid march. I would suggest an engagement ad promoting your FB ad, and a “brand awareness” ad to let people know that you exist! If you see a conflict in the community – adjust your schedule and your plan. Do not try to compete against already established community events. Write blogs to promote the benefits of Pilates, and the activities at your studio. Send the blogs to your email list, post the links on Facebook and promote those posts to get them to a larger audience. Map out the traffic pattern for your clients that attend your Pilates day event. Make sure each client has a personal greeting from a staff member, and make sure no potential client leaves without meeting at least 1 instructor and signing up for your email list. Don’t go overboard on snacks. Having a table of light snacks is great – but you don’t want to be eating those snacks for your next 7 meals. While they might not be a “healthy option” – cupcakes seem to always be a hit! Always schedule time the day of the event to answer these two questions. Invite your staff that worked the event to answer them and if you have clients that you know well enough to ask them to participate – the feedback will improve your next event! Make sure to store those answers somewhere (I use OneNote) where you can use them in planning your next event. What are two things that went well? What are two things that could be improved? Evaluate your results against your goals. Did you accomplish things on schedule? Did you meet your goals? Celebrate your accomplishments! Pilates Day always falls on Kentucky Derby Day. Host a Derby Day Get Together and celebrate! One of the greatest compliments I ever received was from people who attended a conference I had put together. The physician said to me, that immediately after arrival at the conference, it was obvious to them that we had changed the things that the physician focus group had identified as things that could be improved. I was ecstatic, because we had worked hard to use attendee feedback in planning. It’s amazing how good a successful event makes you feel. Previous Post: « Do you hate having your picture taken?